Over the years, garage door openers have become more advanced and more affordable at the same time. This means that homeowners can get safer, more secure and better performing devices. At the same time, it is important to be well familiar with the whole system to provide proper care and take care of any problem in a timely manner. This type of opener is the quietest among its chain and screw drive counterparts. It is a popular choice especially for people that have rooms over the garage. Just like the traditional chain drive device, it uses a set of moving gears, but instead of a chain, they run a belt made from polyurethane, fiberglass or steel-reinforced rubber. The reduced friction results in less noise. This is one of the major hardware components of the opener system. It is connected to the drive belt, chain or screw mechanism and to the rail, on one side, and to a moving arm on the other. The moving arm is attached to the overhead door as well. When the motor runs the drive, the trolley is moved along the track and consequently brings up or lowers the door. 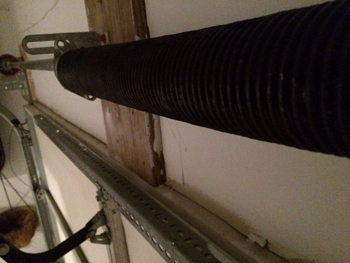 It is generally quite strong and durable, but if it breaks, the electric operator won't be able to move the door. That is why timely replacement is required. These devices produce an infrared beam during the closing of the door. If it is interrupted by a person or an object, the opener receives a signal to reverse the course of the door. The maintenance involves checking the wiring and/or batteries, cleaning of the sensors and their proper alignment. Afterwards, they have to be tested. Open the door full, place a solid object in front of one of the sensors and engage closing. If the door goes down, the components have to be fixed or replaced. The fix depends on the cause of the issue. In case of faulty motor or circuit board, the component typically has to be replaced. Broken moving gears require immediate replacement as well. Bent rail can usually be straightened perfectly with appropriate repair. When the opener malfunctions due to improperly set travel limits or force, they have to be properly adjusted right away. Too busy to do the maintenance work or facing a serious issue that you cannot resolve? 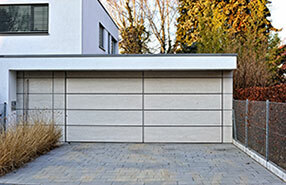 Let us at Garage Door Repair Seffner do the work professionally and swiftly! Our company offers a full range of services designed for openers, from installation and maintenance to repair and replacement. We work with systems of all brands, ages and types. Simply call or leave us a note to get expert help fast. Find out more about our services on our website.